From Slovenian ‘golica’ to Italian opera, French ‘chansons’, rhythms of Spanish ‘flamenco’ to Portuguese ‘fade’, we were on the way to our first international conference, where we would represent the 3Gloco project. Our destination was Lisbon, the place we, over the next few days, would call home. Since we are not a classic start-up, our way of working, thinking and operating is more “out of the box”. That’s why we set the first challenge right from the start — we made the trip by car, not by plane. A journey that lasted almost 25 hours … the reason? There are many. In any case, this is a great test for a part of our team. To be with someone on, say, five, six square meters (in the car) for 25 hours, with stops just for a quick 5 or 10 minutes and speeding towards the destination where the journey will begin — that’s the challenge. But we have succeeded, and we found, not only that we could laugh so much that we shed tears, but that we could also be silent, while at the same time, not finding it unpleasant that we could sing together in the middle of the night and that we have mutual respect, understanding and an appreciation for one other. Also, let’s be honest, we also know how to make fun of ourselves. Another reason — we wanted to make it an adventure, a research adventure from our trip. 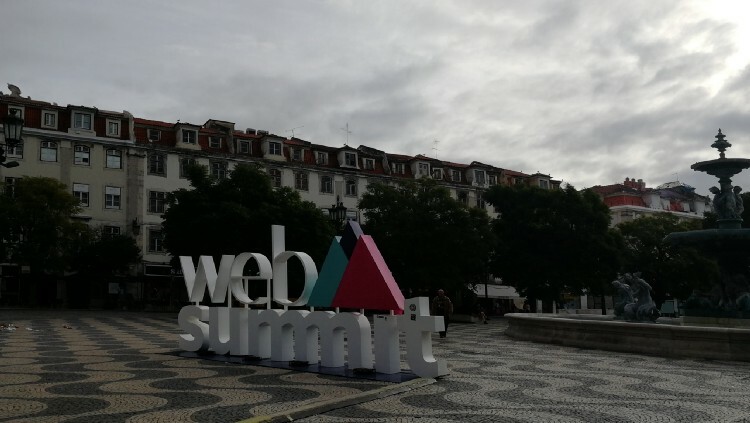 The path to Lisbon took us through many countries in the beginning, but our goal was to focus on the activities at the Web Summit prior to the conference. We headed out on our trip three days earlier to acclimatize ourselves, “domesticate” and prepare the final details — the presentation, adjusting schedules and the like, before the beginning of the conference.